Ria Loves Pawlish: My Stuff Came! today has been full of craziness, it took almost all day to get all our furniture and stuff into our new place! stuff sure takes up a lot more room when it's in a million boxes than when it's just setting out. my dog, Jasper, was really freaked out at first... but as the wore on (and on and on...) he totally relaxed and went with the flow. after the movers finally left... he passed out on the couch like he had been doing all the work! it was really cute :) my mom and i spent the evening unpacking the kitchen... we got fairly close to finishing. the new kitchen is shaped really differently and has no where to put things, so we are coming up with creative storage solutions! as you can see here... the worst damage done to my nails was a chip on my pointer! there is a bit missing from my thumb, but the was caused by my actual nail splitting... my nails are just terrible >.< but, i'll take some chips in my nails if it means i get to have all my stuff with me! 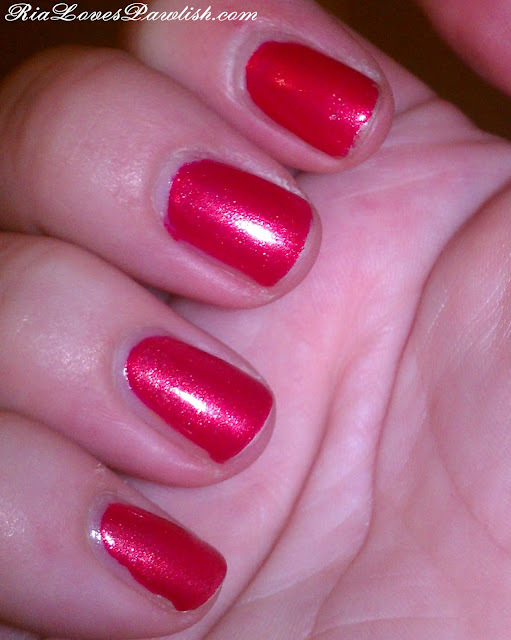 this is isn't really color accurate, but the color on my nails is Zoya Kimber.